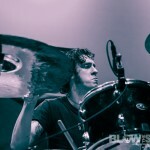 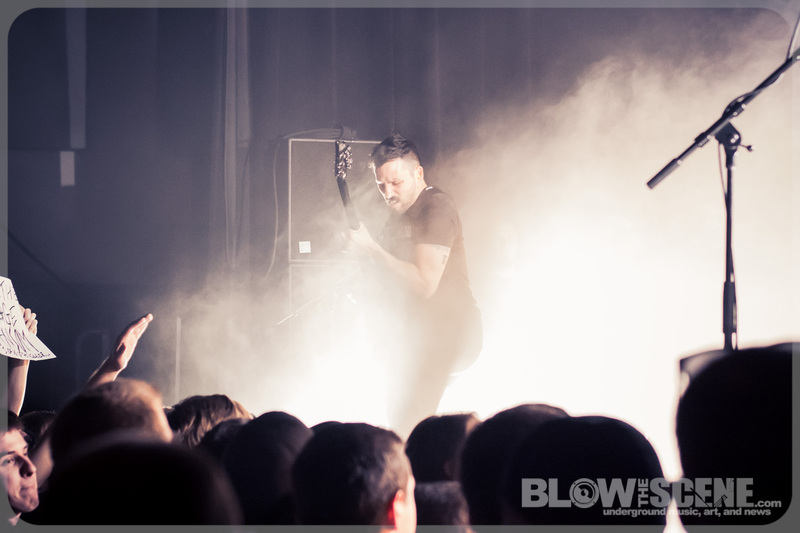 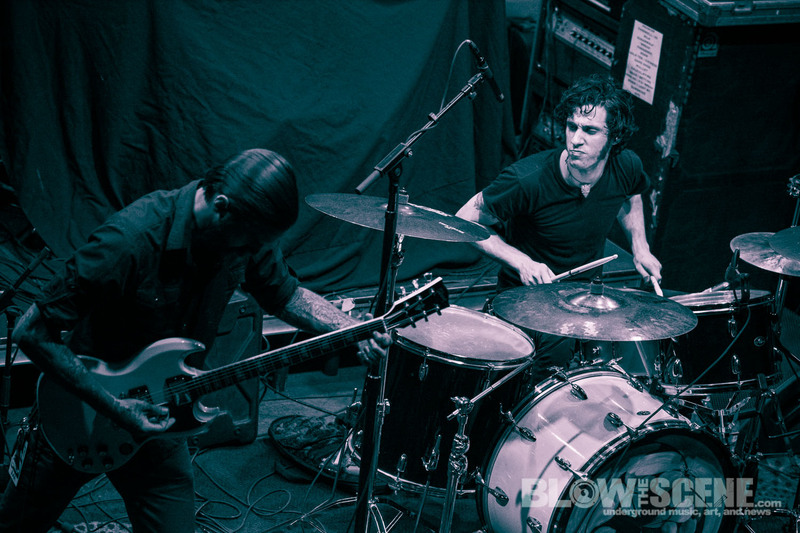 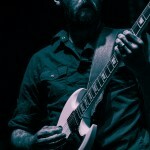 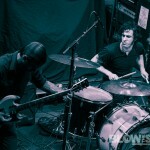 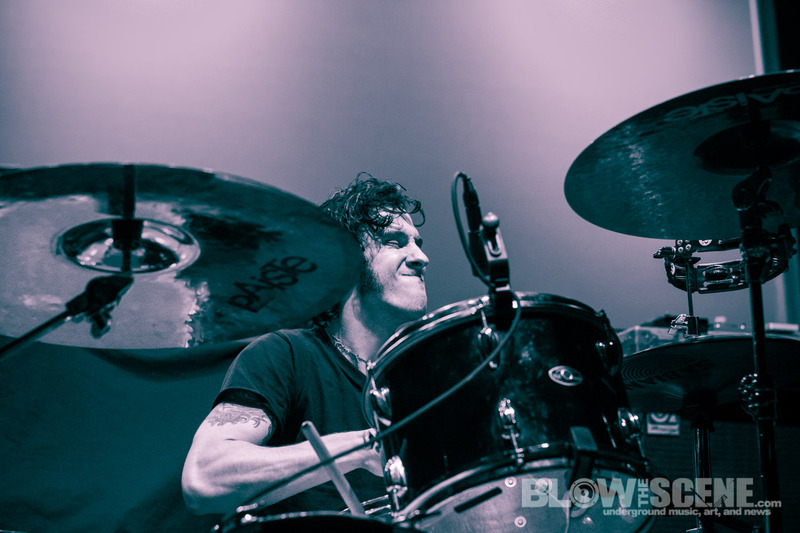 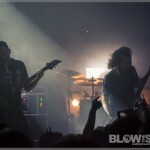 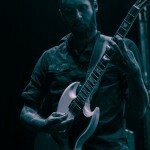 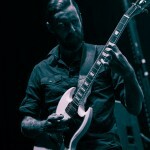 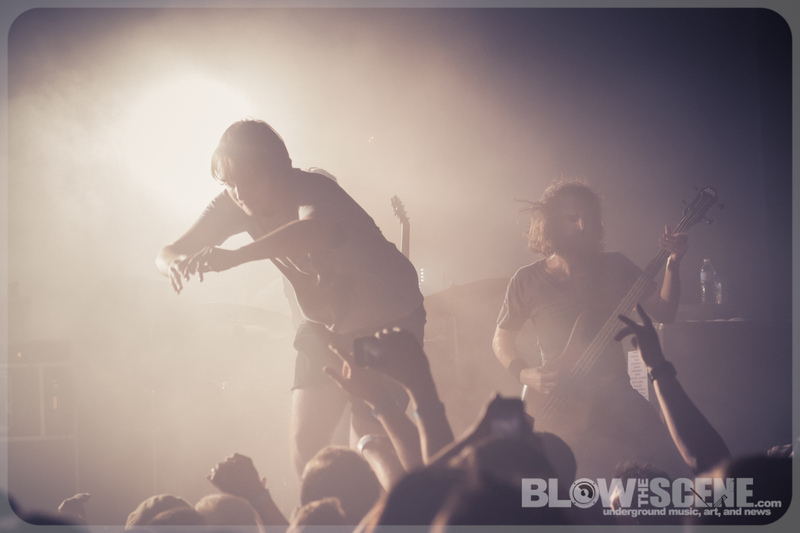 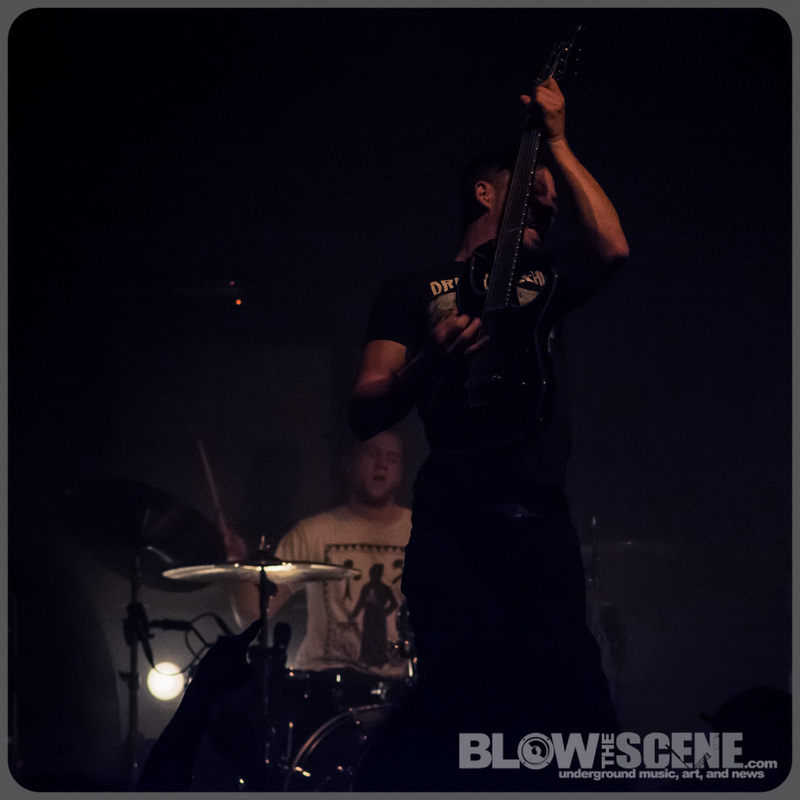 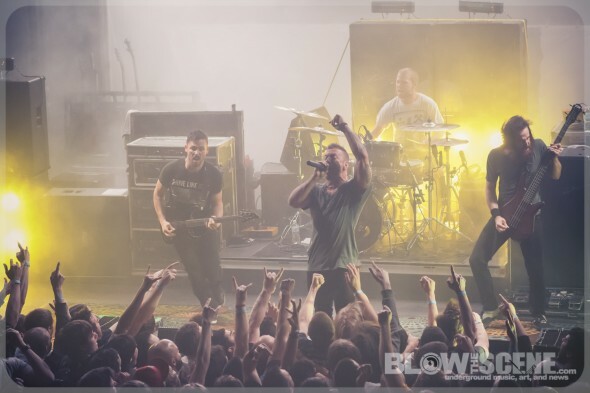 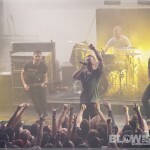 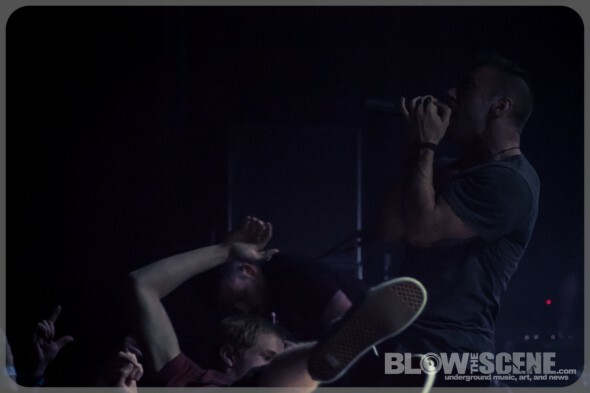 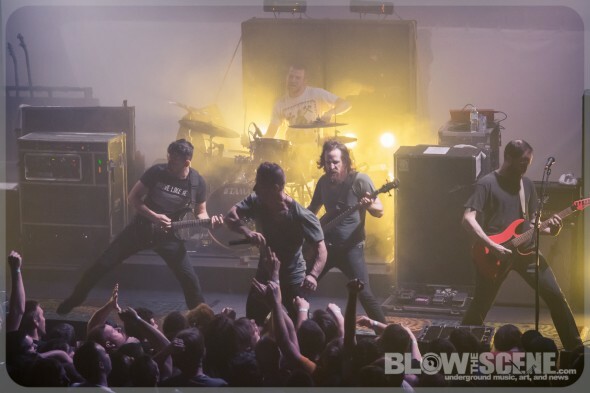 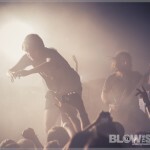 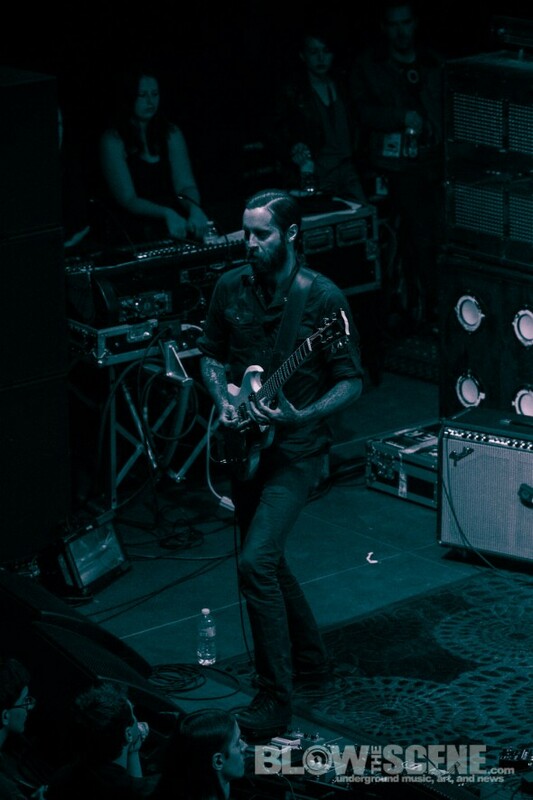 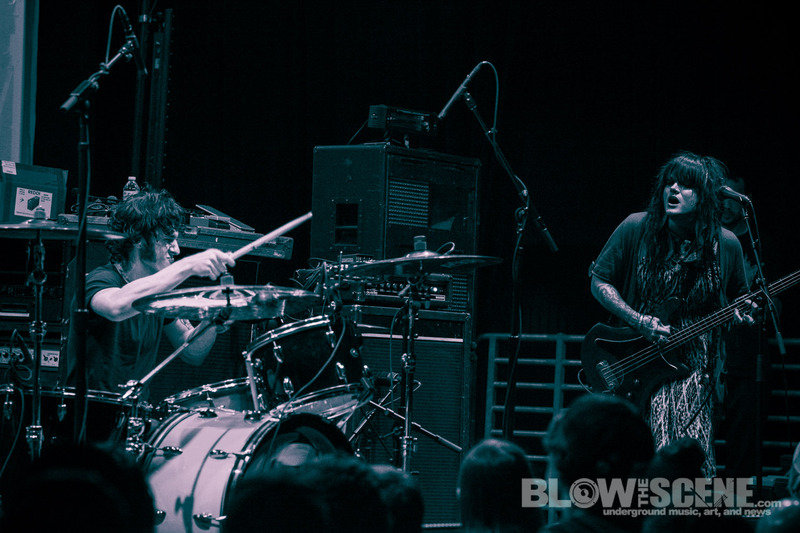 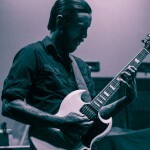 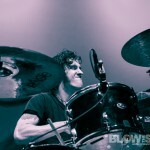 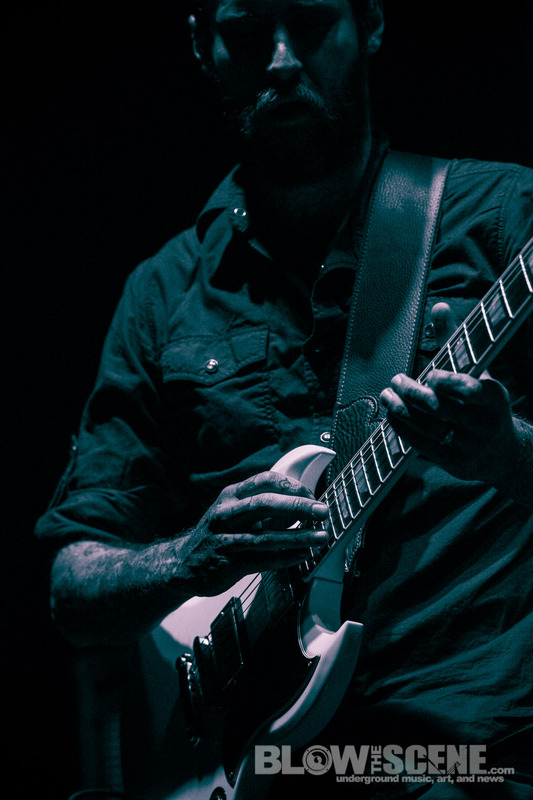 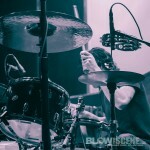 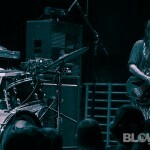 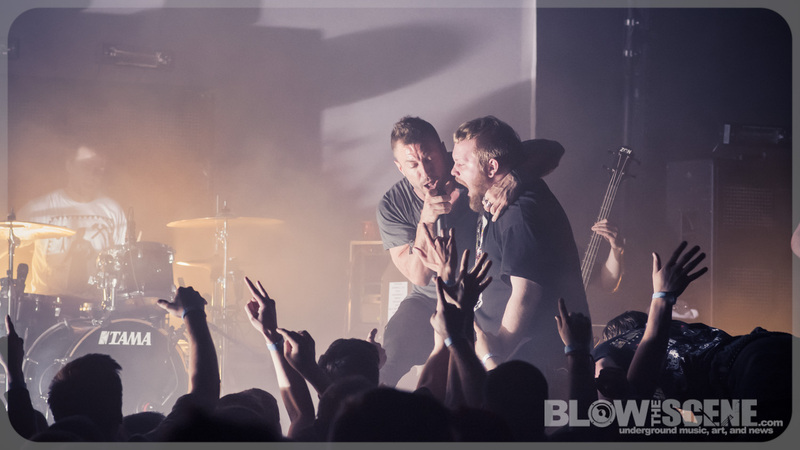 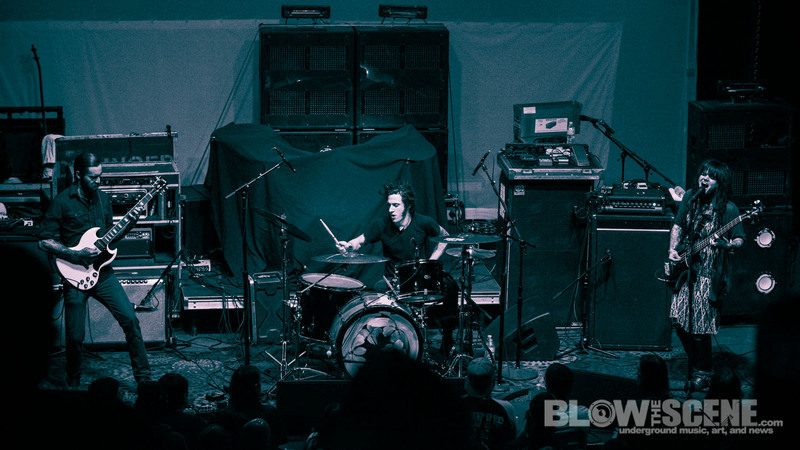 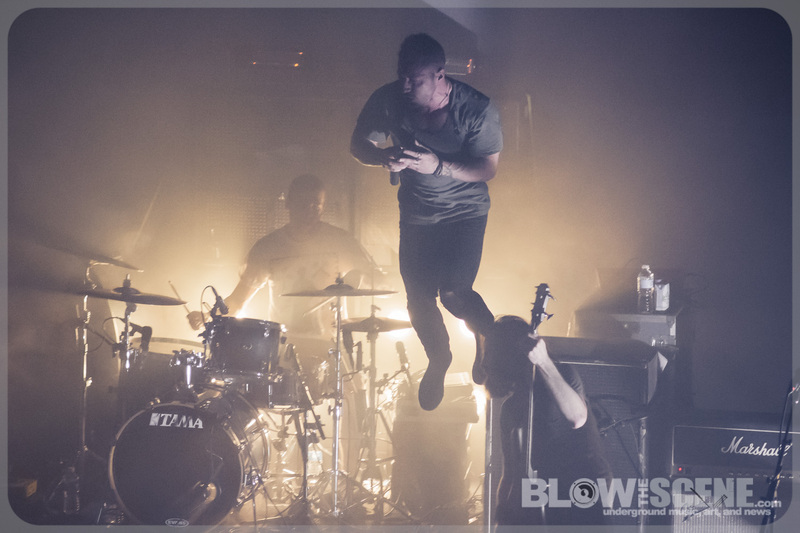 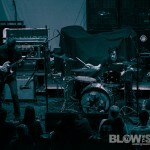 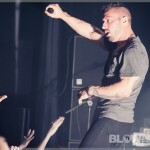 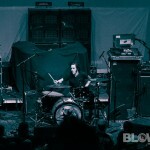 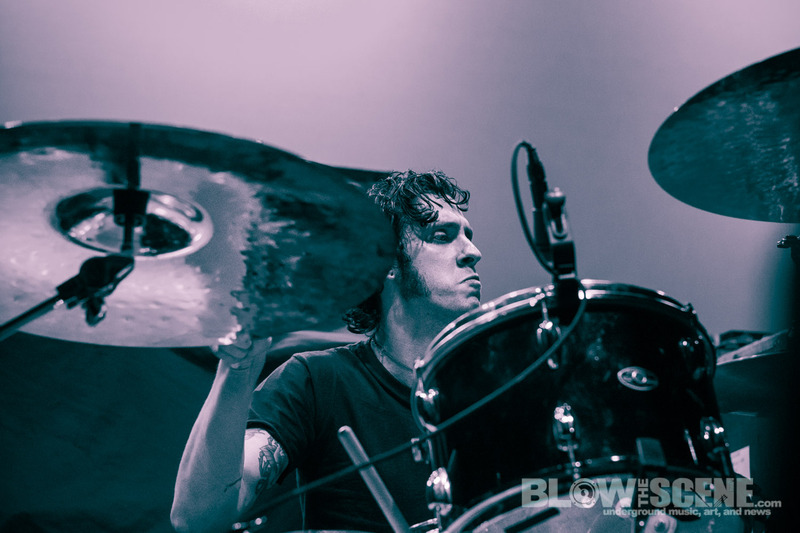 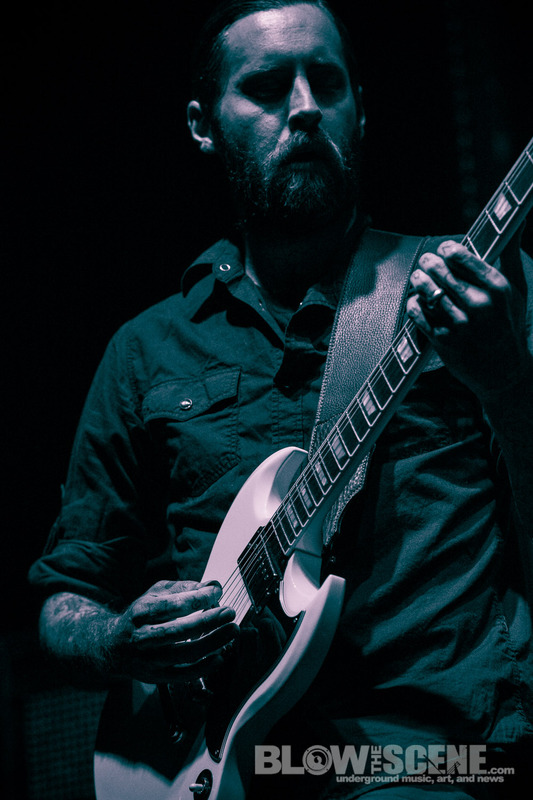 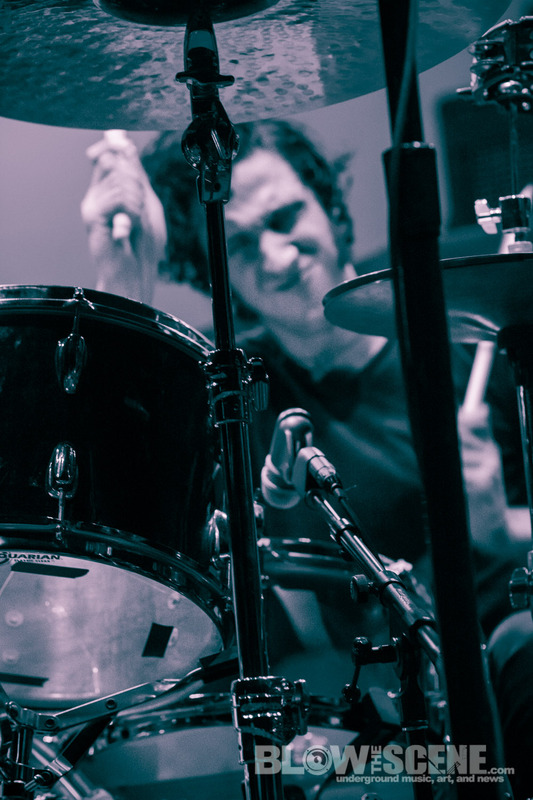 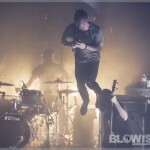 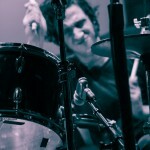 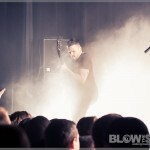 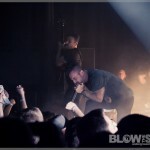 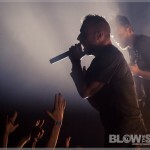 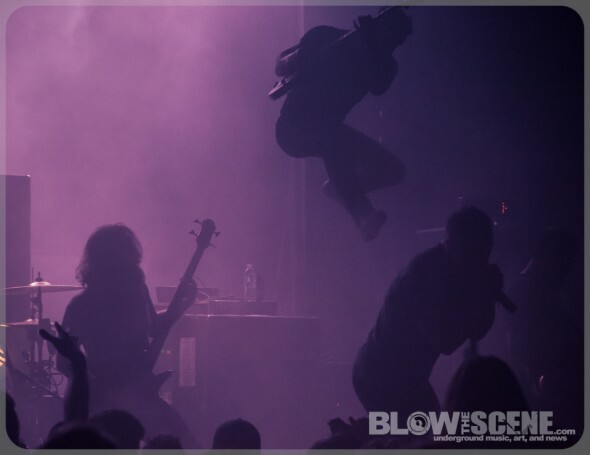 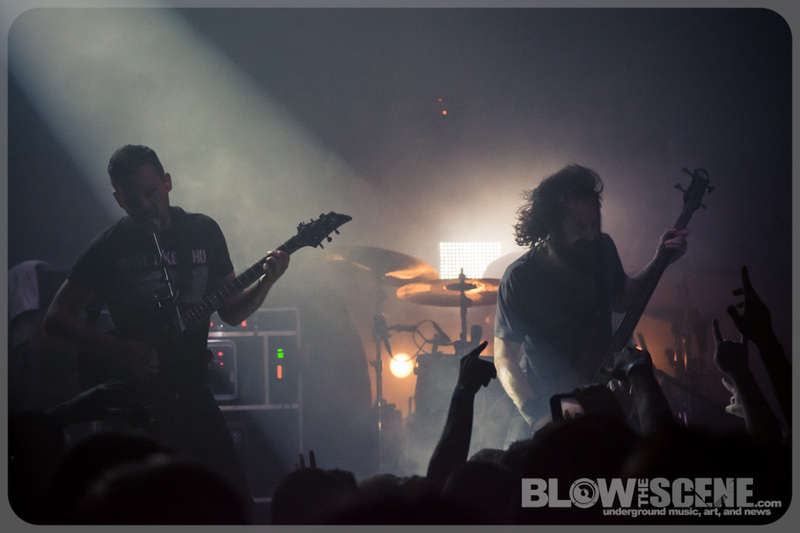 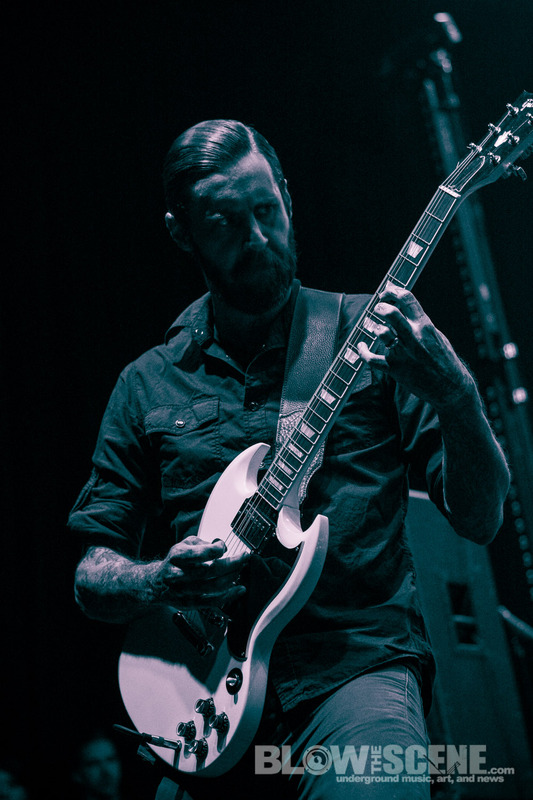 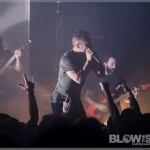 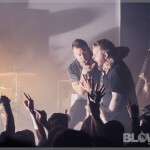 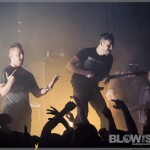 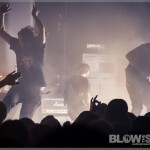 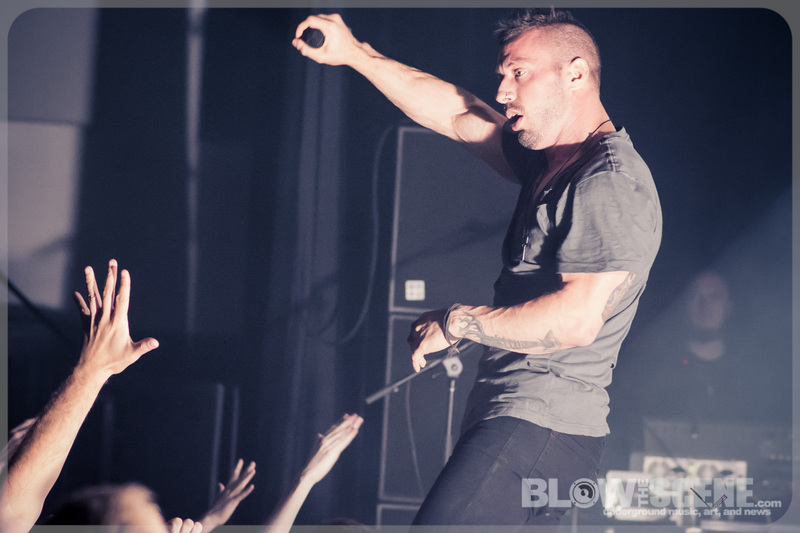 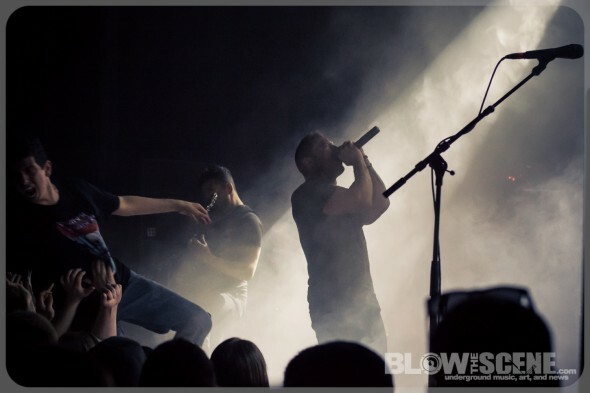 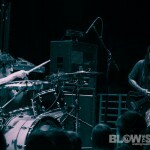 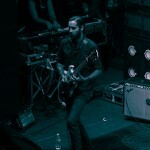 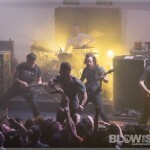 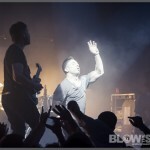 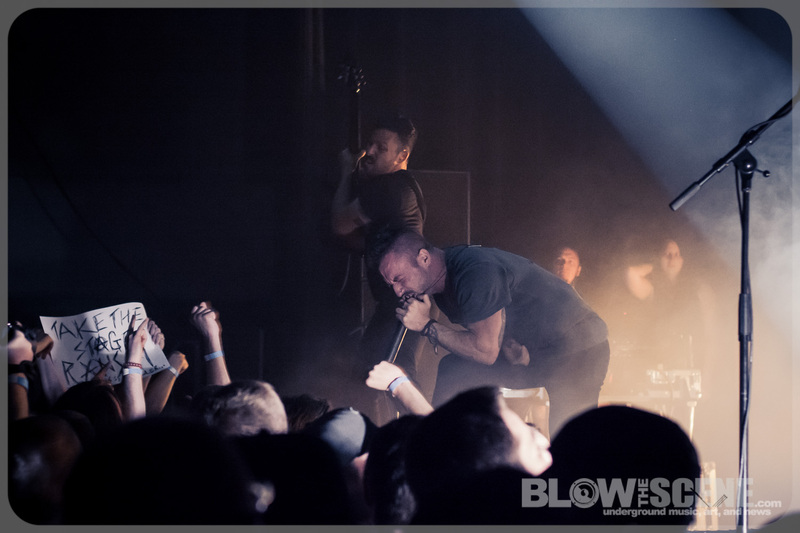 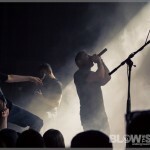 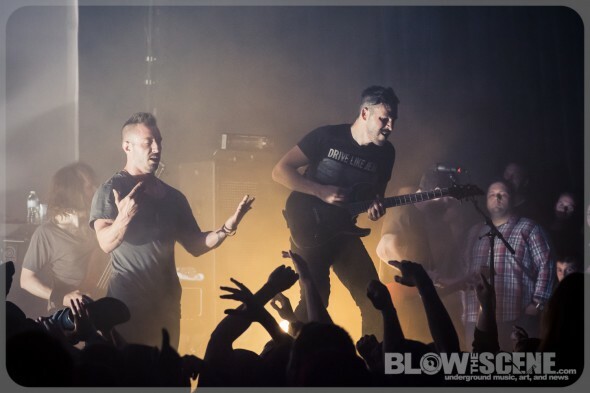 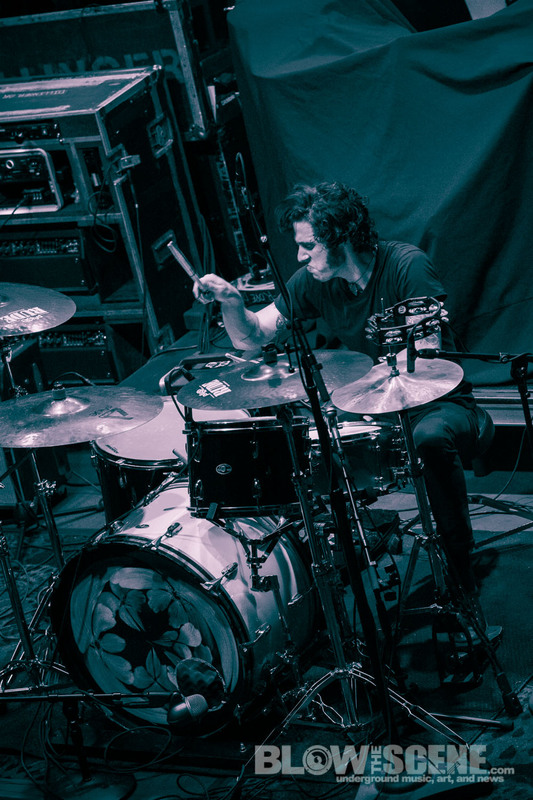 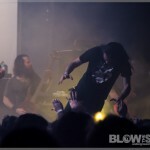 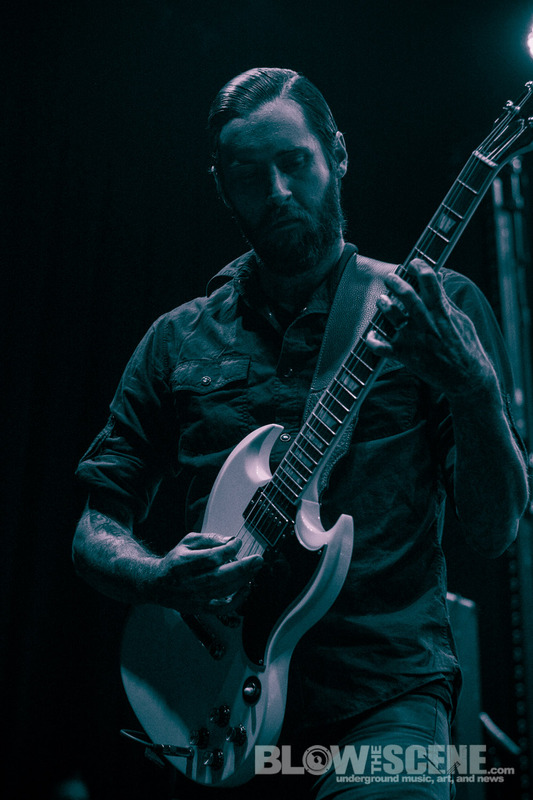 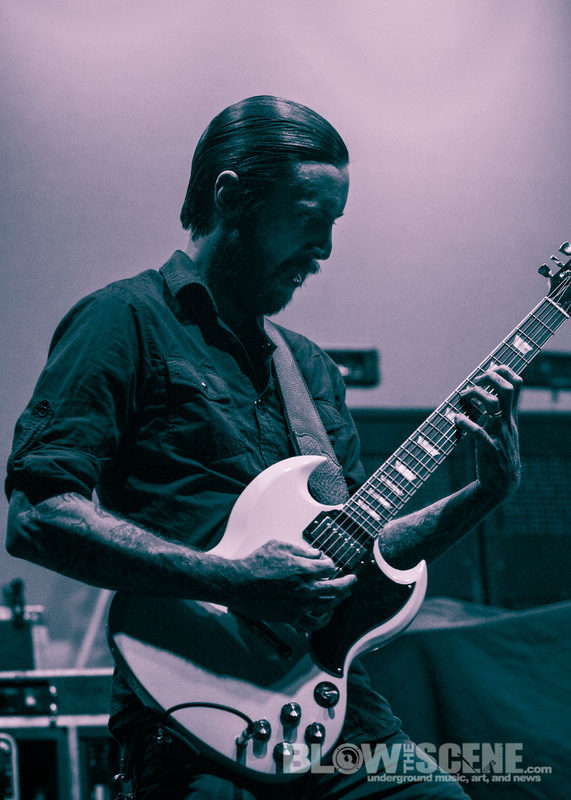 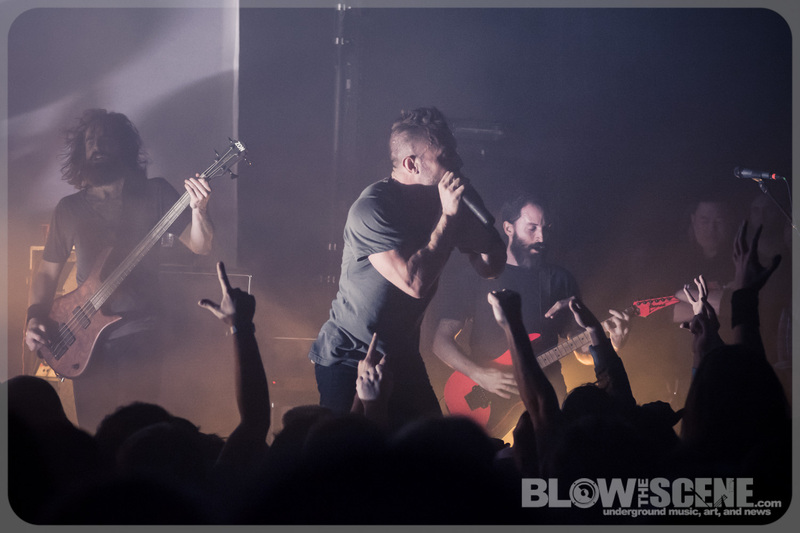 Math-infused, prog-metal practitioners The Dillinger Escape Plan recently lit up Philly’s Union Transfer venue with a raucous hometown bill featuring Atlanta rock titans, Royal Thunder. 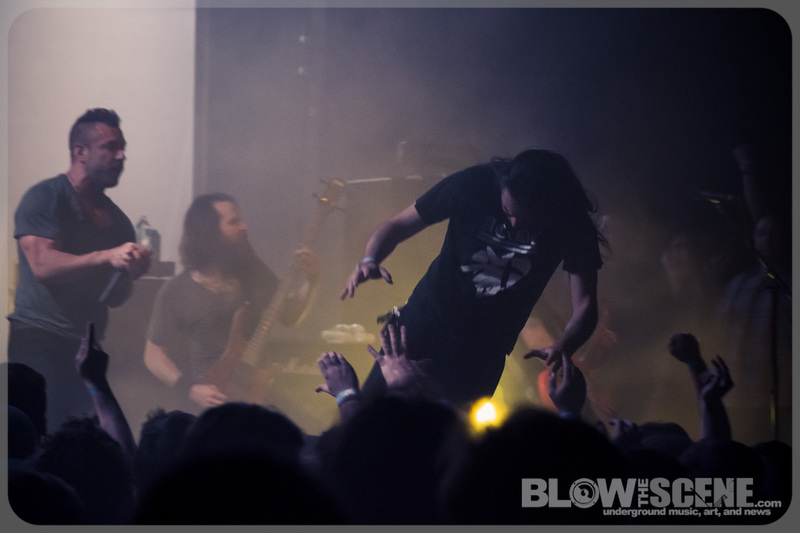 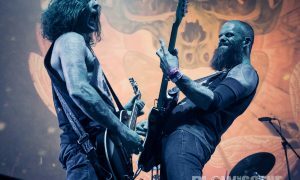 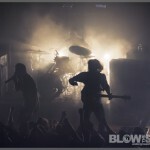 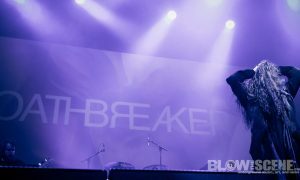 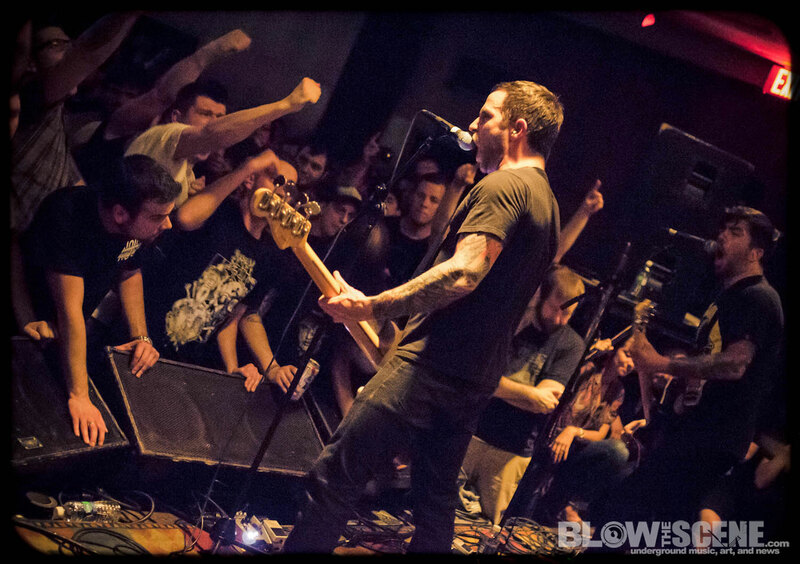 Faceless was also scheduled to perform but having reduced their tour van to ash a few states away, the band was forced to drop from the show. 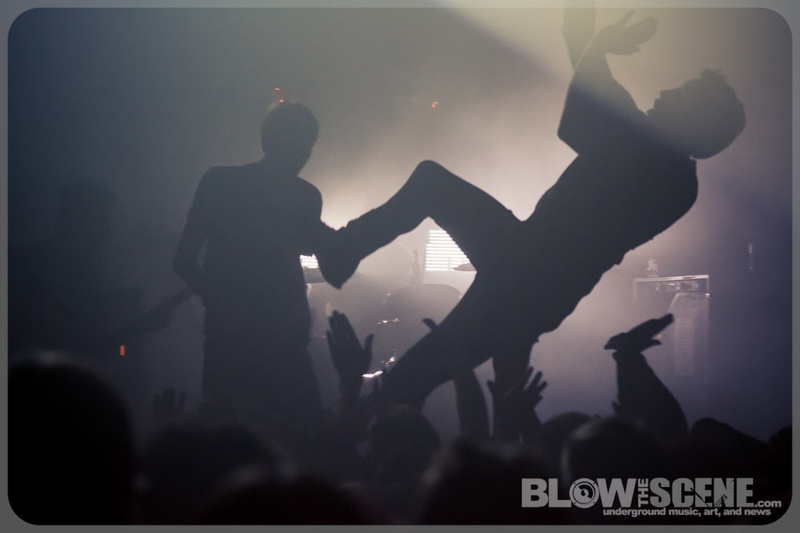 Being DEP‘s home turf, bodies filed in to UT undaunted by the last-minute change in billing. 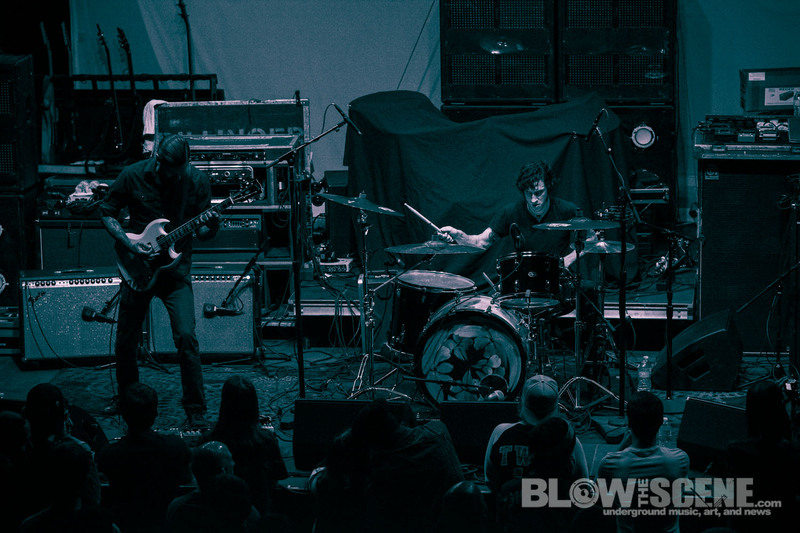 Up first was Royal Thunder, and if you are no stranger to this mag, then you know full well our love for this band. 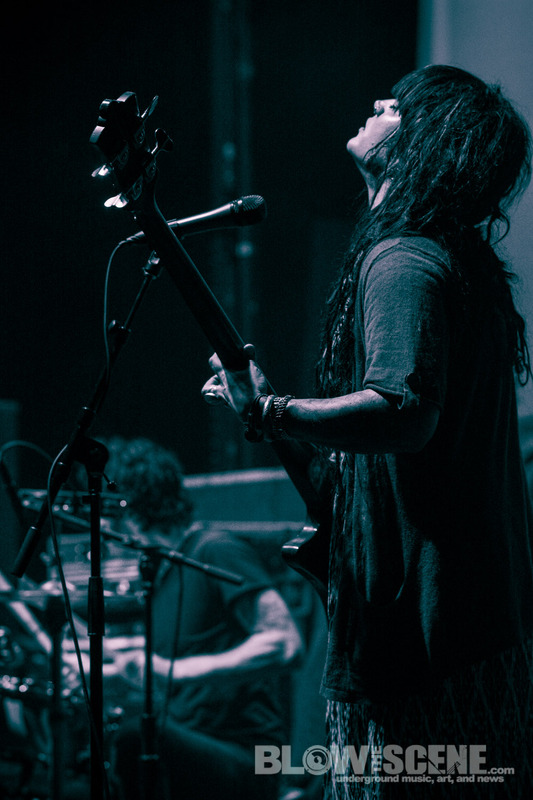 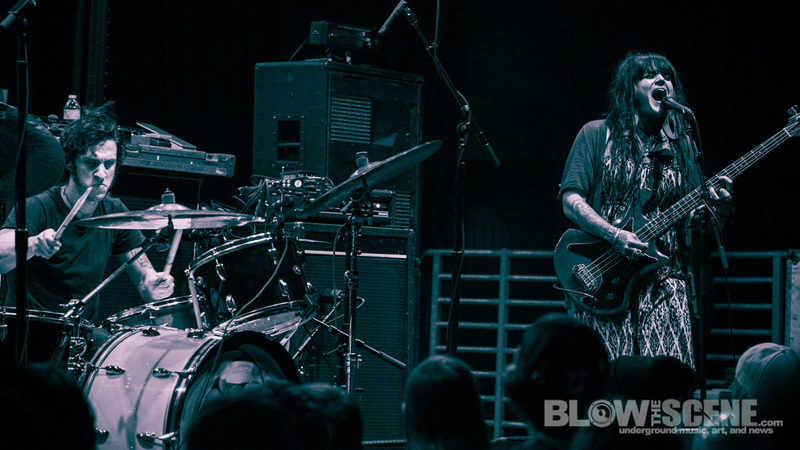 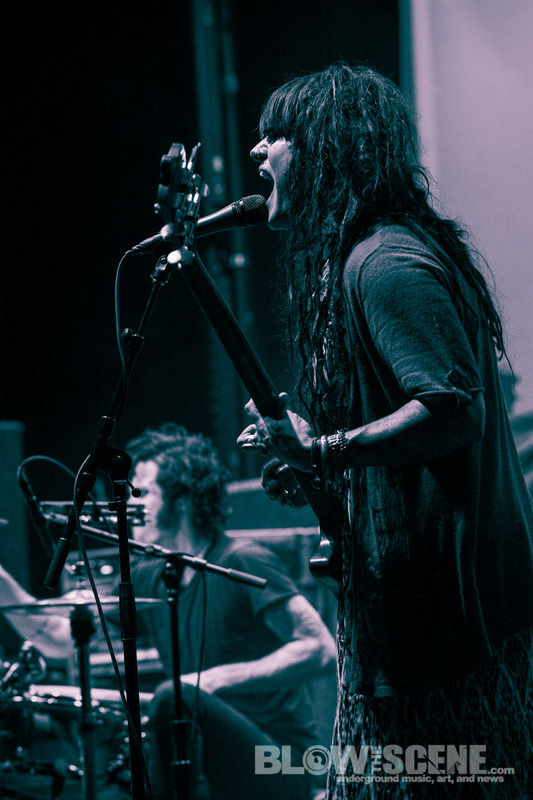 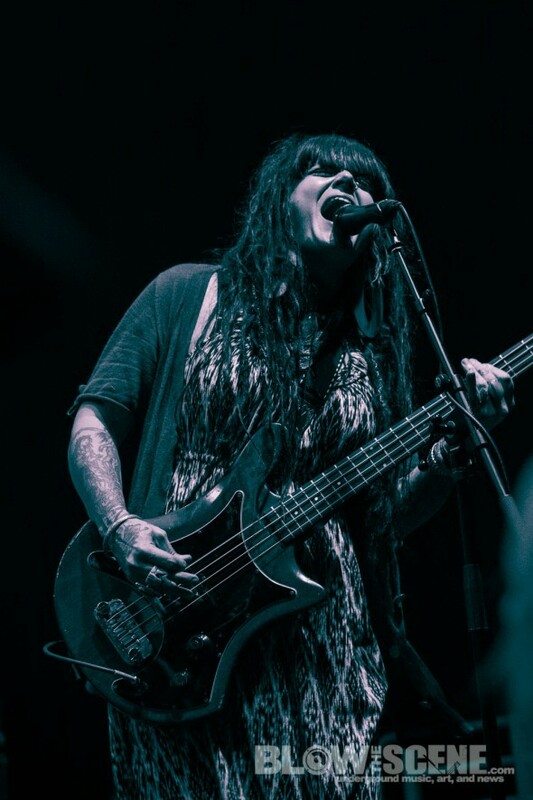 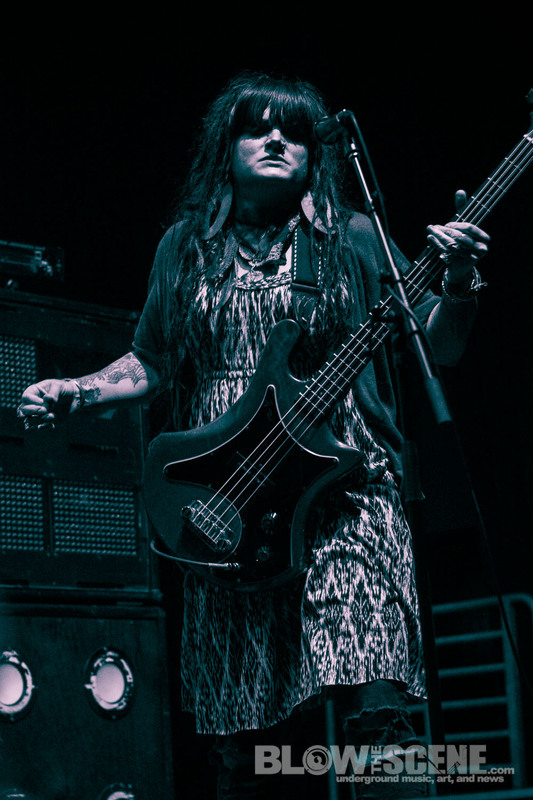 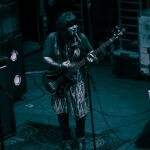 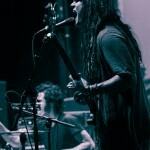 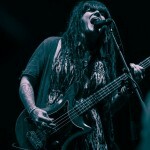 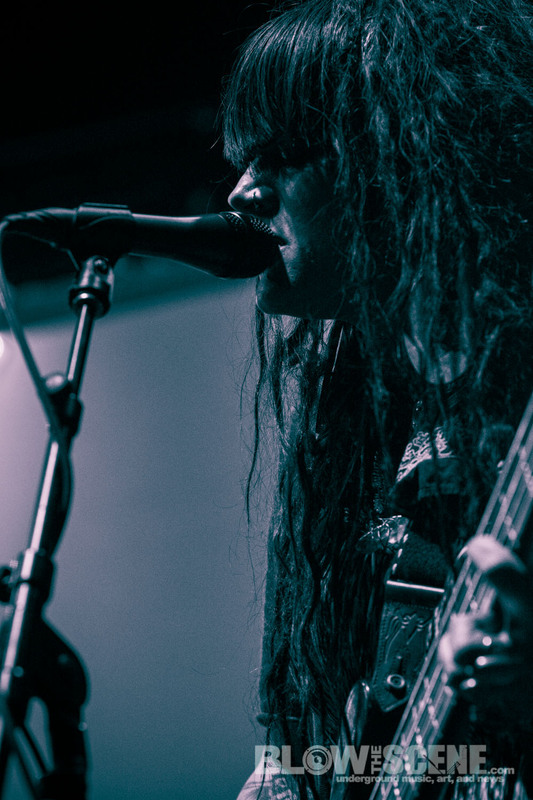 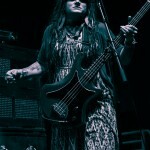 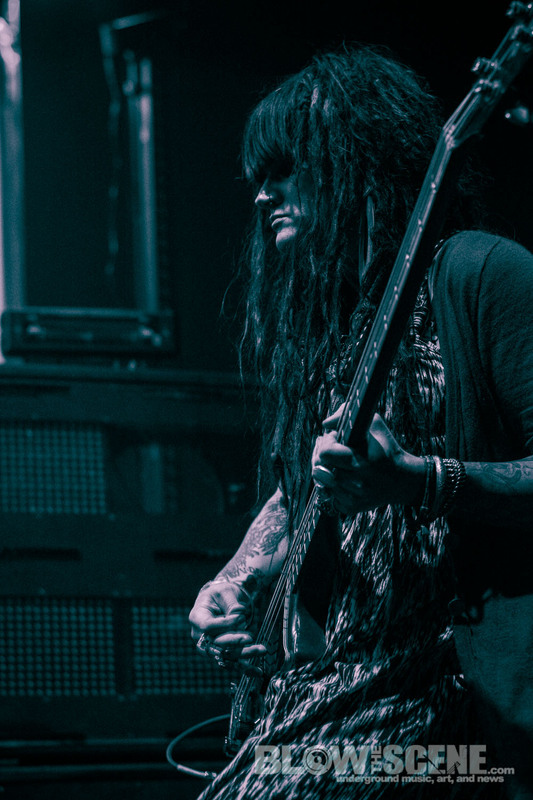 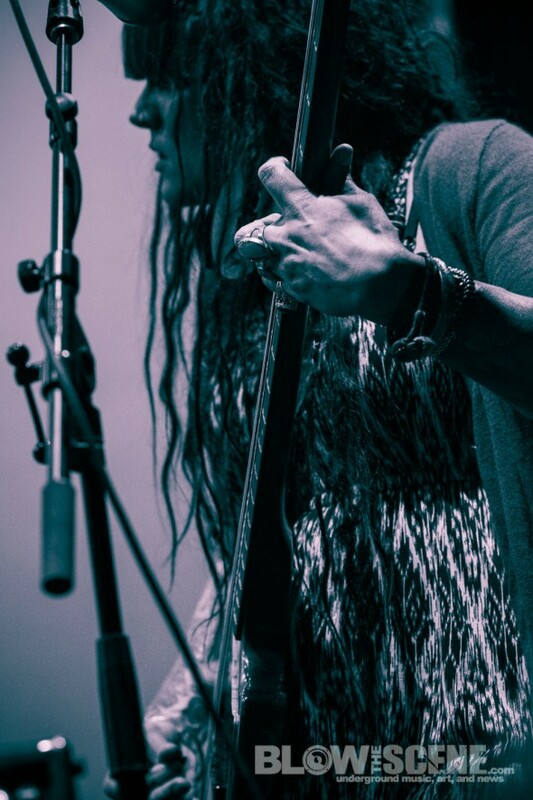 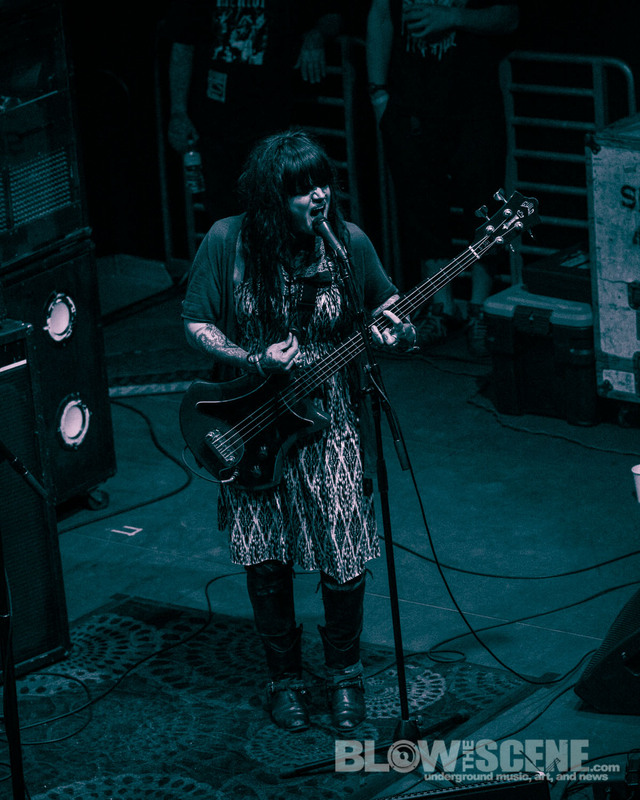 Through near relentless touring, Royal Thunder has emerged a leader of the pack with a patented blend of spaced-out Southern metal and rock with a bluesy edge complimented by front woman Mlny Parsonz‘s distinct vocal presence. 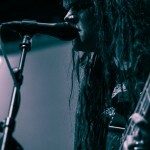 The Atlanta-based band who released their debut album CVI on Relapse Records last year to rave reviews, are offering a free download of an acoustic version of “Parsonz Curse” via Rolling Stone. 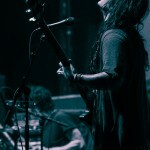 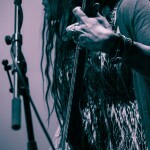 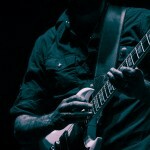 Two other acoustic versions of songs from CVI have been made available previously: Decibel Magazine offered “Whispering World” via their July flexi disc and Pitchfork offered a download of “Black Water Vision”, which they described as a “Southern Gothic murder ballad halfway down the cemetery road” and added “Mlny Parsonz’s voice commands attention whether it’s with a wail or a whisper.” Despite this showcase being an overwhelmingly DEP crowd, Royal Thunder held its ground and proceeded to blast through a set that commanded the audience’s attention and surely won over so new fans. 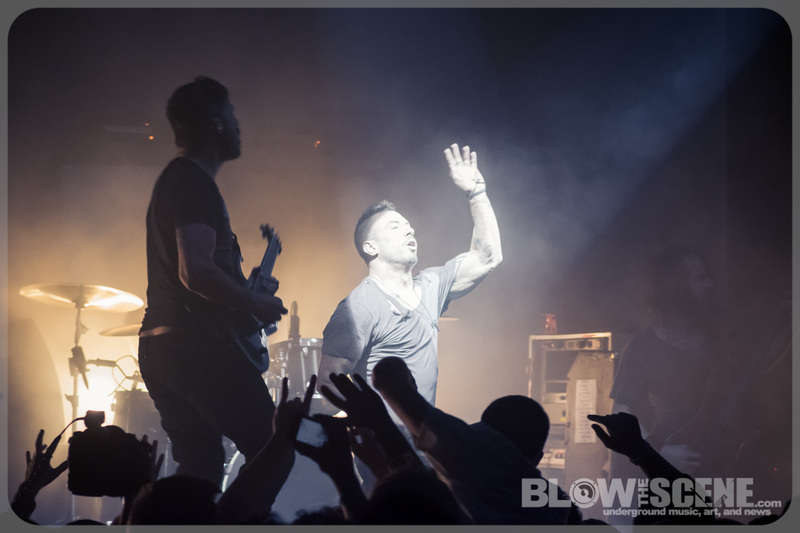 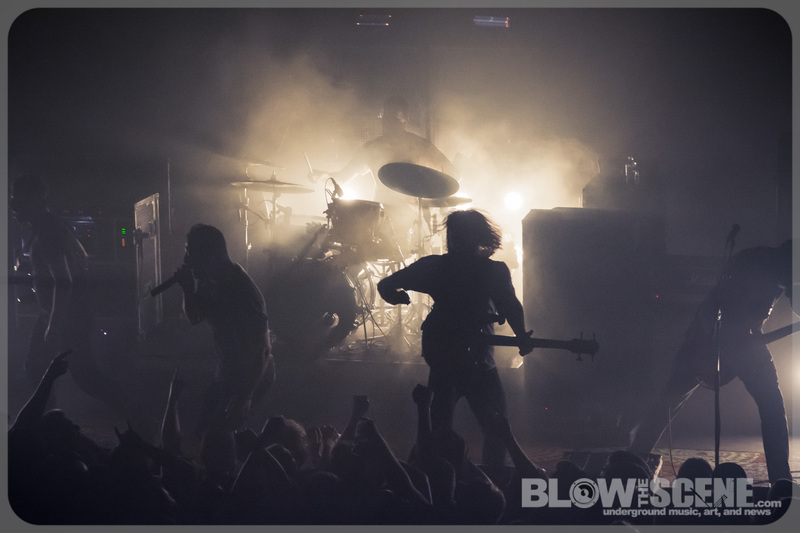 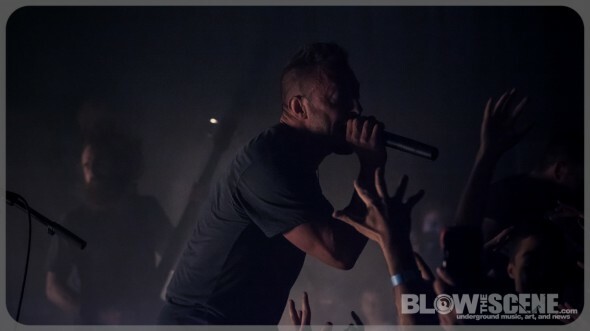 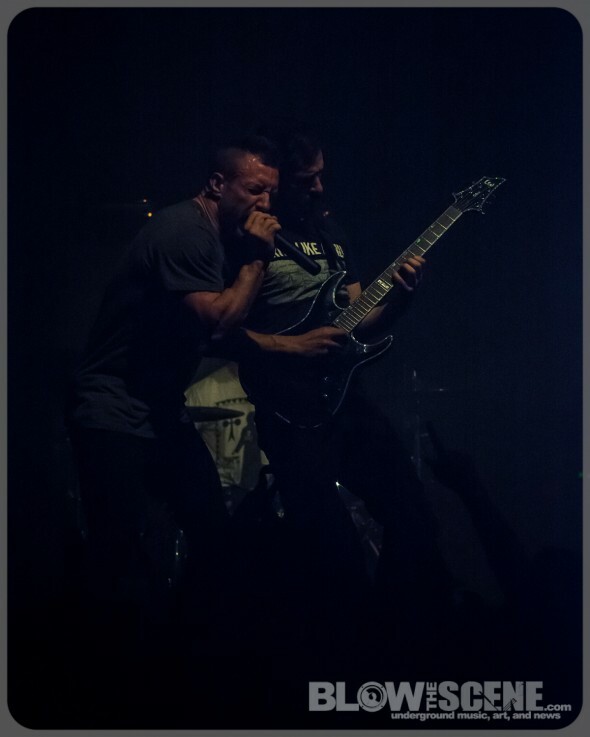 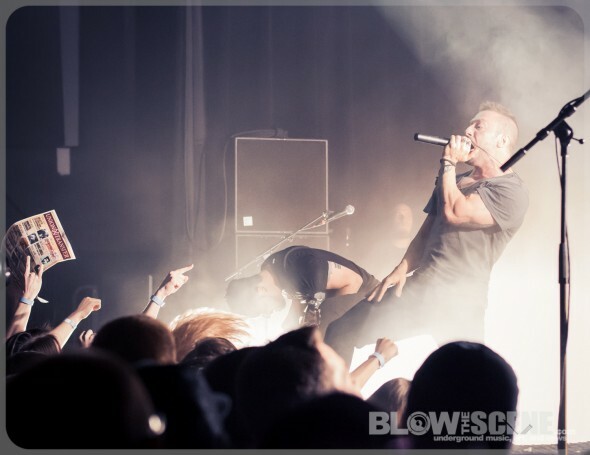 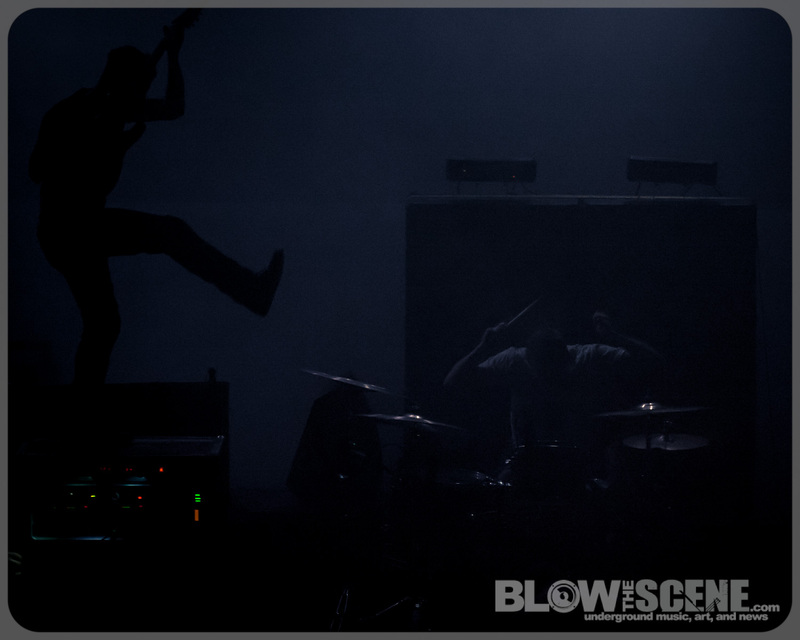 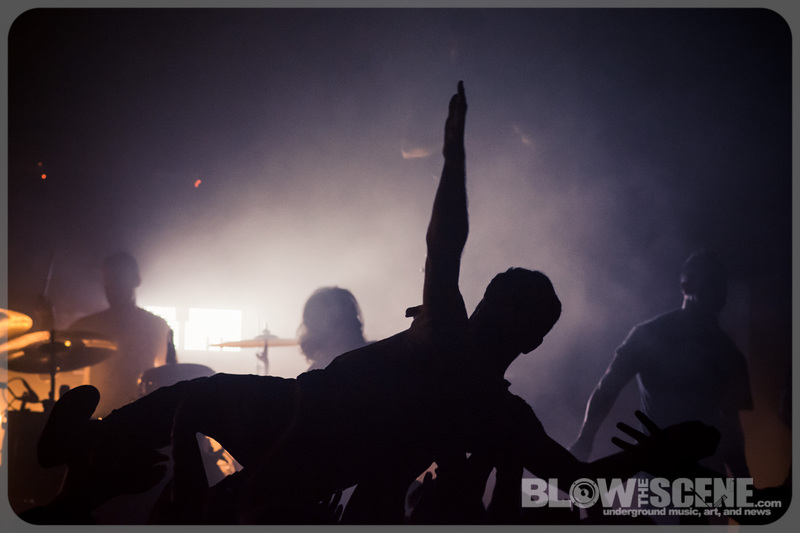 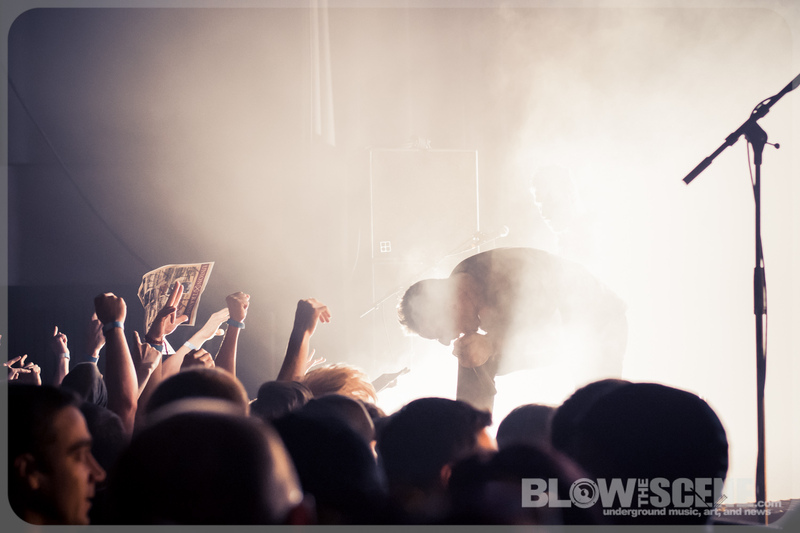 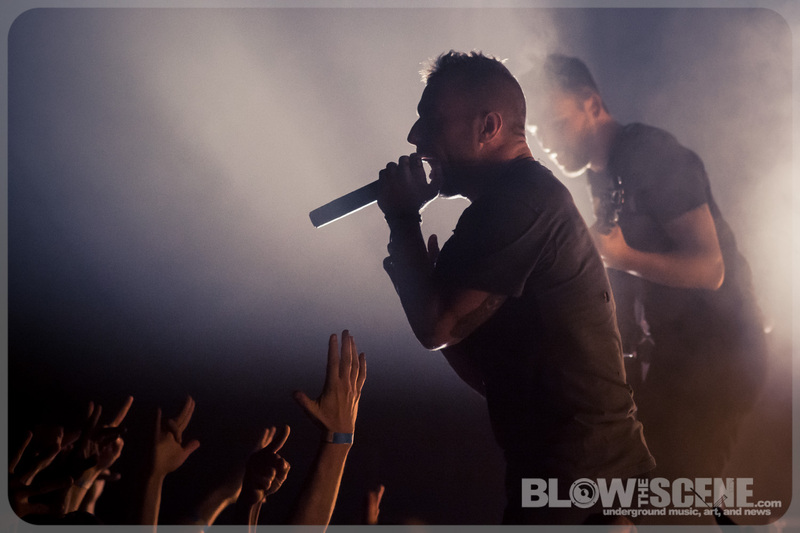 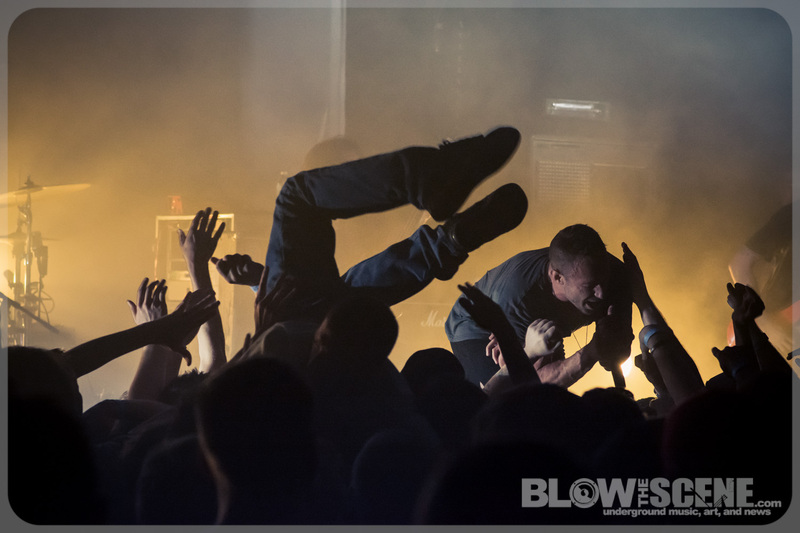 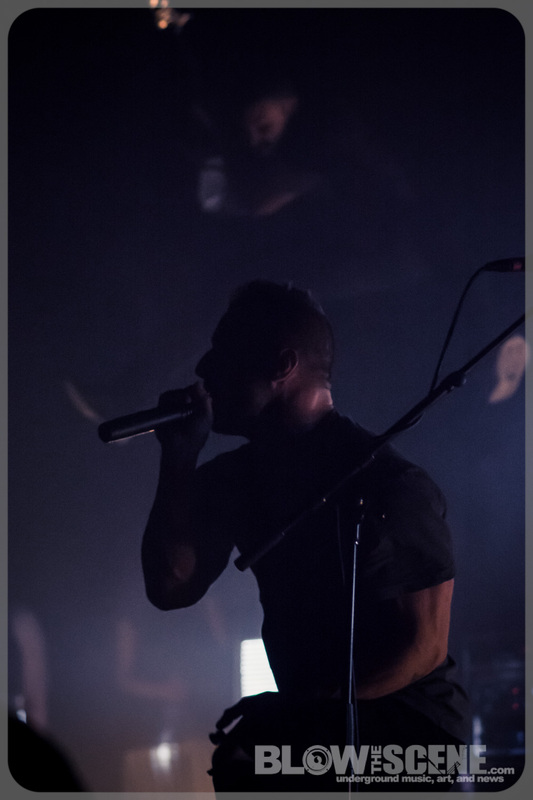 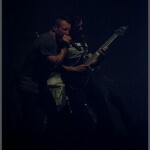 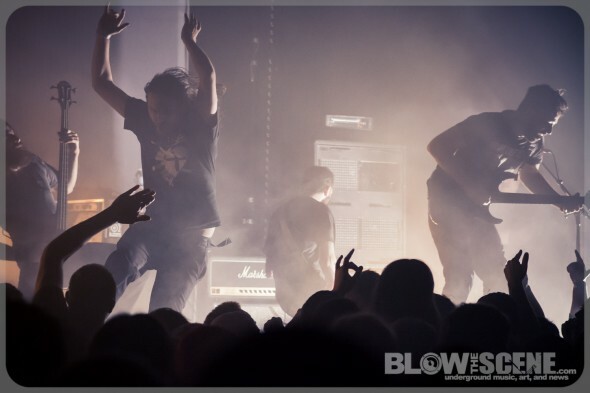 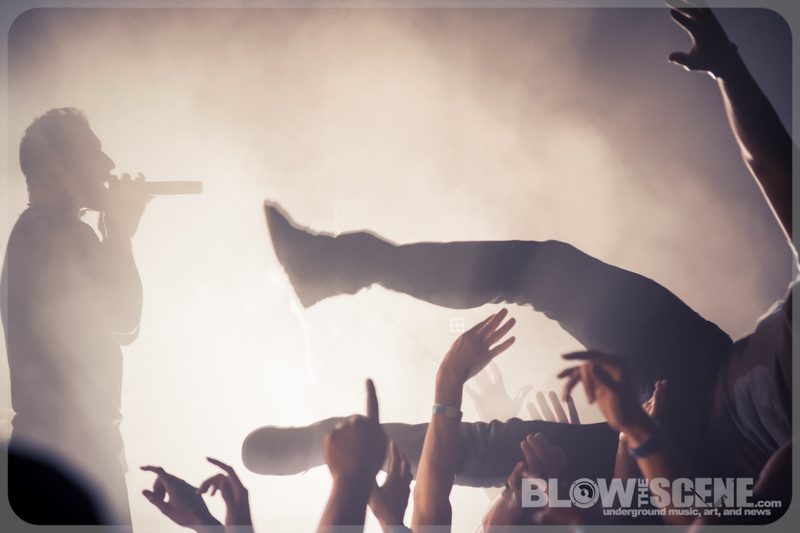 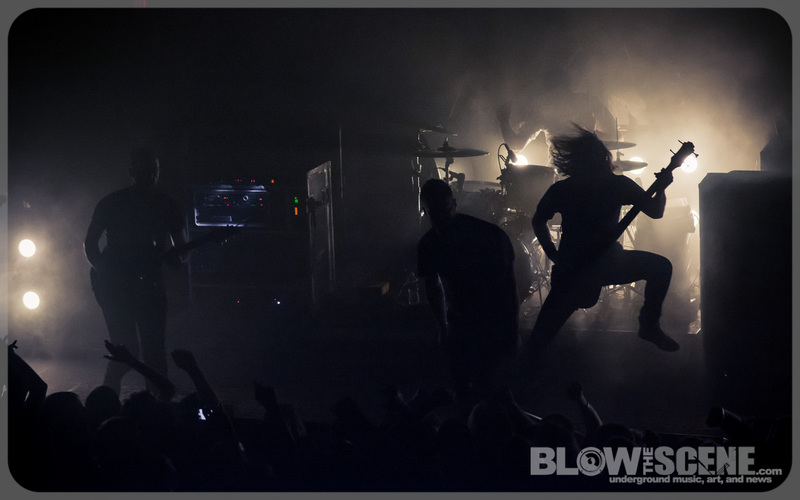 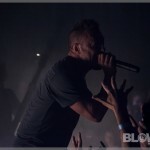 The Dillinger Escape Plan hit the stage with a burst of frenetic energy punctuated by a rapid and relentless barrage of strobes. 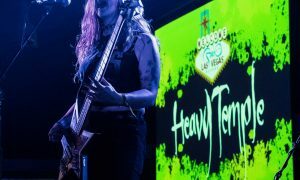 Combined with band’s uncompromising musical assault, the backdrop was set for a hometown crowd to go absolutely bonkers. 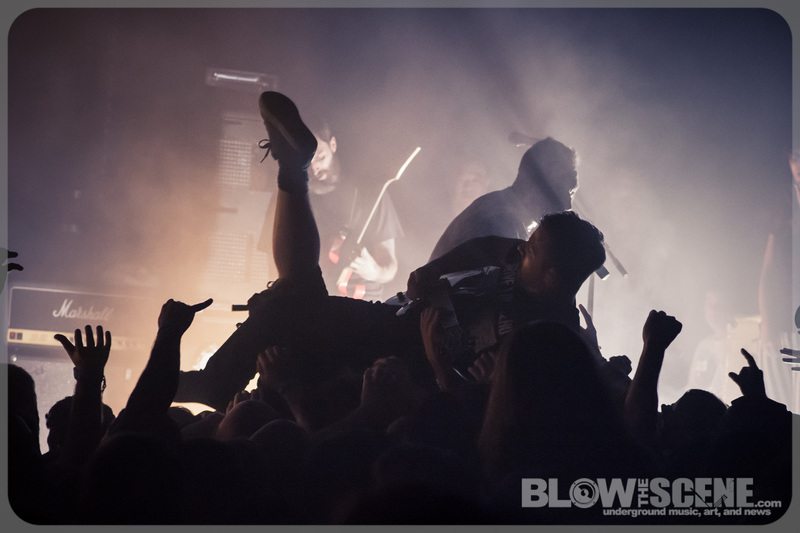 Waves of fans made their way on stage before flinging themselves back into the flailing sea of limbs like the movie theater scene from Gremlins before they are all blown sky high. 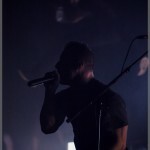 Fresh off of the release of a fifth studio album, One Of Us Is The Killer recorded by longtime producer/engineer Steve Evetts and available through Sumerian Recordings– The Dillinger Escape Plan are proudly continuing their legacy as one of the driving forces in progressive, mathy-metal fusions. One Of Us Is The Killer marks the second with drummer Billy Rhymer on the skins and showcases more accessible approaches within a familiar sonic context. 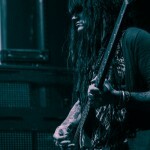 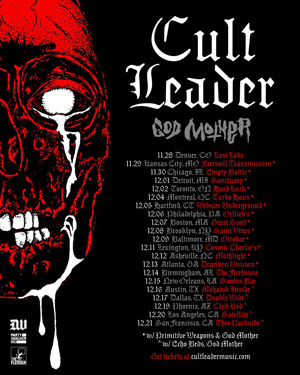 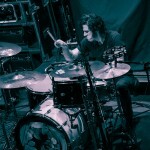 DEP will pick up as headliners on 2013’s Summer Slaughter Tour kicking off July 19 in San Fransisco.